Admiral Makarov State Maritime Academy (Russia) - Distinguishing feature of the modern maritime education and training is the requirement to follow international conventions and national educational standard. The training of personnel for sea transport is offered according to State educational standards in conformity with the requirements of the International Convention on Standards of Training, Certification and Watchkeeping for Seafarers 78, as amended by the International Maritime Organization (IMO). Admiral Ushakov Maritime State Academy (Russia) - AUMSA was founded on the coast of Black Sea in 1975 as Novorossiysk High Engineer Maritime College. It was renamed as Admiral Ushakov Maritime State Academy in 2005. AUMSA is a high level of training marine specialists, it's a wide possibilities for comprehensive development of the youth, good professional perspectives. The diplomas of State sample and certificates of AUMSA meet the requirements of international conventions and all countries of the world recognize them. Arques School - A mall school dedicated to developing craftsmen skilled in the art of building wooden boats in the traditional plank on frame methods. Located in in Sausalito, California. Australian Maritime College - Naval architecture, ocean engineering, marine engineering, fisheries, marine resource management, maritime business, maritime operations. Launceston, Tasmania. Baltic Fishing Fleet State Academy (Russia) - A recognized leader in the field of maritime education on the eastern shore of the Chesapeake Bay in Easton, Maryland. California Maritime Academy (Cal Maritime) - Marine-oriented college of business and technology offers degrees in Business Administration, Facilities Engineering Technology, Marine Engineering Technology, Marine Transportation and Mechanical Engineering. Canadian Coast Guard - Professional categories, Navigators, Engineers, Pilots and Logistics Officers are normally recruited and trained at the Canadian Coast Guard College in Sydney Nova Scotia. Compass Courses - Specializes in providing quality safety and license training to the maritime industry. Basic safety, fire and suvival license training. Constanta Maritime University (Romania) - 5 professional licenses and 85 experienced academics : Navigation and Maritime Transport Faculty (engineers, 5 years, full time), Electromechanical Faculty (engineers, 5 years, full time), with two departments: Naval Electro mechanics and Electrotechnics and a college of Maritime and River Navigation College ( 3 years, full time) and Bachelor's degree. 9 postuniversity courses in maritime related fields: Port Management, Maritime Law, Maritime and Multi-modal Transport Management (delivered in English), Advanced Concepts of Marine Engineering, Naval Radio Communications, Maritime Safety (delivered in English), Hydrography and the Exploration of Coast Potential, Technical Management of Port Areas- Master's degree. Ph.D degree - doctoral studies in the field of Mechanical Engineering. College of Oceaneering - Professional diving school provides entry level professional divers for the commercial diving industry. Curriculum includes underwater welding, non-destructive testing and emergency medical training. Dalian Maritime University - Key Chinese maritime institution under the Ministry of Communications, People's Republic of China. DMU is a leader among the higher learning institutions of navigation worldwide as to the scale and stale and status of academic studies and research. Dokuz Eylul University, School of Maritime Business and Management (Turkey) - The school was founded in 1988 in the body of the Dokuz Eylul University as the first higher education school in Turkey concerning maritime business. The school has three departments: the Department of Maritime Business Administration, the Deck Department, and the Marine Engineering Department. Fisheries and Marine Institute of Memorial University of Newfoundland (Canada) - FESTFU was founded in 1946. The University consists of 5 institutes: Navigation Institute, Institute of Applied Biotechnology, Institute of Food and Refrigerating Engineering, Institute of Fishery and Aquaculture, Institute of Economics and Management, International Department, Department of Correspondent Education, Department of Accelerated and Additional Professional Education, Department of Military Training, Marine College, College of Engineering and Service, Lyceum. The education is conducted in 29 majors, 4 specialties of bachelor's degree and 3 master's programs and 7 specialties of middle professional education. G.I Nevelskoy Maritime University (Russia) - Training specialists in compliance with the International Conventions requirements and this allows University graduates to be employed in the world shipping industry labor market. The number of specialties and subject fields in training specialists of different levels has increased from 5 to more than 60. Gdynia Maritime University (Poland) - The Maritime University in Gdynia is the largest state school of higher education in Poland and one of the largest in Europe. Since 1920 the University has been preparing graduates for officer positions on board merchant marine vessels and for managerial positions at the land-based institutions and companies representing the maritime industry and seaside regions. The University's four Faculties offer degree in Navigation, Marine Engineering, Electrical Engineering and Business Administration. At present the Gdynia Maritime University provides studies for 8,000 students in the following specializations: sea transport, fleet and port operations, marine power plant operation, repairing technology of ship and harbour facilities, industrial plant operation, repair management engineering, ship electro-automation, computer control system, marine electronic engineering, digital radio communication, management of commercial projects, management of the hotel and tourism and services, commodity sciences and quality management, organisation of the seaborn trade, business management, e-business, technology of foot and nutrition. Great Lakes Maritime Academy: Traverse City, Michigan - One of only six state maritime academies authorized by the federal government to train future officers for the U.S. Merchant Marine. Houston Marine Training Services - Complete training source for professional certification within the maritime industry. Houston Marine has served over 70,000 mariners and approximately 700 companies in 12 maritime industries, including offshore service vessels (OSV), inland towing, oceans and near coastal towing, offshore drilling, union companies, deep draft (U.S. flag, Liberian flagged & other), passenger vessel (U.S. flag, Liberian flagged & other), charter vessels, fishing vessels, tankerman, government agencies, and marine associations. Hudson River Sloop Clearwater - Clearwater was founded in 1969 by music legend and environmental activist Pete Seeger. The organization began with the launch of sloop Clearwater-a majestic replica of the sloops that sailed the Hudson in the 18th and 19th centuries. The 106-foot-long tall ship was among the first vessels in the U.S. to conduct science-based environmental education aboard a sailing ship, virtually creating the template by which such programs are conducted around the world today. IDESS - An independent organisation providing training services to the maritime and offshore industries. Kobe University, Faculty of Maritime Sciences (Japan) - In August, 1920, this school was nationalized and became Kobe Nautical Collage, which was placed under the direct supervision of the Education Ministry. Since then, it has contributed to the development of marine industry. Later in April 1945, as one of the wartime measures of the government, Kobe Nautical Collage and the other two nautical colleges in Tokyo and Shimizu, were united into one college in Shimizu under the name of Nautical College, while the campus, buildings and facilities of Kobe Nautical College were taken over by Marine Technical College. Liverpool John Moores University (UK) - The emphasis on seagoing training has changed to Undergraduate and Post-graduate studies in the various maritime fields. Maritime Law and Business is particularly important however Navigation and Hydrographic Surveying are still important. Engineering is catered for with a BEng Mechanical and Marine Engineering degree and a MSc Marine & Offshore Enginering. Seagoing training is provided at our Lairdside Maritime Centre. Research is carried out within the Maritime Studies Department Research Group. This has evolved over the last twenty years into the Marine, Offshore and Transport Research Group, enjoying an international reputation in the field of electronic chart design and computer assisted anti-collision systems. More recently, the Group has developed a strong reputation for its work in formal safety assessment in marine, offshore and transport systems. Lloyd's Maritime Academy - Distance learning programmes will see over 2,000 international students studying for several different qualifications including new diploma courses in Ship Finance and the diploma for Harbour Masters. Certificate programmes on offer include Chartering, Marine Technology, Ice Operations Management, Salvage Response and Crisis Management, Pipeline Engineering with many more under development. Maine Maritime Academy - Undergraduate and graduate programs take place in ports, industrial plants, shipping companies, and in field research environments. Marine Affairs Institute at Roger Williams University - Recognized as a distinguished focal point for the exploration of legal, economic, and policy issues raised by the development of the oceans and coastal zones. 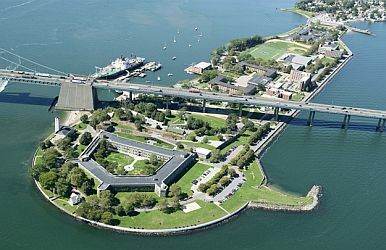 Maritime College, State University of New York - SUNY Maritime is a four-year college located at historic Fort Schuyler in Throgs Neck, New York which offers a solid academic program coupled with a structured cadet life in the regiment for both men and women. Offers undergraduate and graduate degrees in the following areas: Engineering (Marine, Mechanical, Electrical and Facilities), Naval Architecture, Marine Transportation/ Business Administration(minors in Ship Management and Maritime & Port Security), Maritime Studies, Marine Environmental Science (minors in Marine Biology and Meteorology & Oceanography), Humanities, International Transportation and Trade, and a Master's degree in International Transportation Management. Maritime Institute of Technology and Graduate Studies (MITAGS) / Pacific Maritime Institute (PMI) - Dedicated to providing the most comprehensive theoretical and practical training for seafarers. From ordinary seaman to unlimited tonnage master / pilot, MITAGS-PMI have resources to support you every step of the way. This includes a range of comprehensive Programs, Individual Courses, USCG Examination Assistance, and advanced Simulation Training and Research. Maritime Institute Willem Barentsz of the Northern University of Professional Education, Leeuwarden (The Netherlands) - MIWB consists of the Higher Maritime Academy, providing education for masters and chief engineers FG, the Maritime Simulator Training Centre (MSTC) providing full mission ship simulator training, an own seagoing training vessel and a fully equipped student campus with restaurant and library. Maritime Schools - A compilation of Merchant Marine, Naval, Coast Guard Military, as well as oceanographic schools. Maritime Training Services - Produces and distributes high quality onboard crew training materials addressing safety, regulatory and operational issues facing the maritime industry. Marlins - Provides English language training solutions for the shipping industry, working with hundreds of companies worldwide. MARPOL Training Institute - Training and consulting designed to give shipping industry management, including crew members on tankers, dry-cargo ships, bulk carriers, car carriers and cruise ships, the information they need to be in compliance with MARPOL regulations. Guidance to improve operating waste management practices and procedures so your vessels will remain in compliance with MARPOL. Maryland School of Sailing and Seamanship, The - Offers a full range of courses from basic sailing through ccean training cruises on island packet yachts. Students earn certification from the American Sailing Association (ASA). Massachusetts Maritime Academy - Four-year coed state college of marine science, business, and engineering. Merchant Marine Training Services - Training for merchant marine licenses. Mokpo National Maritime University (Korea) - MMU was founded in 1950 as a fisheries and marine high school. Since then the school had undergone several steps of transformation, and it was finally named as Mokpo National Maritime University in 1993. The university has an enrollment of about 2,300 including merchant marine cadets of 1,500. The numbers of faculty and staff members are 93 and 123, respectively. All of the merchant marine cadets receive governmental support for their tuitions, uniforms, food and accommodation. National Association of Underwater Instructors (NAUI) - One of the world's oldest and most respected international scuba training agencies. National Taiwan Ocean University - NTOU has six colleges - Maritime Science and Management, Life Sciences, Ocean Science and Resource, Engineering, Electrical Engineering and Computer Science, as well as Humanities and Social Sciences. Naval Architecture and Marine Engineering - University of Michigan. Newcastle University, Department of Marine Science and Technology - The largest and broadest-based marine school in the UK, covering the fields of marine engineering, marine biology, naval architecture, offshore engineering, coastal management and small craft technology, and enjoys a substantial international reputation. North Atlantic Fisheries College - Aquaculture research, fisheries research, nautical courses. Port Arthur, Scalloway, Shetland, UK. NSNet University - On-line short courses in management and technical aspects of the maritime industry. Odessa National Maritime Academy (Ukraine) - The leading higher educational center in the country, which trains officers in all maritime specialties for sea-going, river and fishing fleet. Professional Association of Diving Instructors (PADI) - PADI members (dive centers, resorts, educational facilities, instructors, assistant instructors and divemasters) teach the majority of the world's recreational divers. Rotterdam Erasmus University Maritime Centre - Shipping, transport and logistics. RTM STAR Center - Simulation training center offers U.S. Coast Guard approved courses. These courses meet USCG, STCW and IMO Model requirements. Also provides many additional courses designed in-house to meet company-specific training requirements. Sea Education Association (SEA) - Undergraduate education in the marine sciences. Seafarers International Research Centre (SIRC) - Internationally recognised for its work on seafarers and seafarer-related issues. Seagull International - A leading developer and provider of computer-based training programs for on-board training of seafarers. State University of New York (SUNY) Maritime College - The first maritime school in the U.S.
Szczecin Maritime University (Poland) - Has 93 well-equipped laboratories, a modern research-training vessel the m/ s "Navigator XXI", and 14 most technically advanced simulators: Ship Handling simulator equipped with a Visual System, Anti-Collision ARPA simulator, Electronic Chart Display and Information System (ECDIS) simulator, Vessel Traffic System (VTS) simulator, Satellite Communication System simulator - GMDSS, Hydro-Acoustic simulator, Autopilot simulator, Radar simulator, Cargo Handling simulator, Fishing simulator, Operational Engine Room simulator, Graphical Engine Room simulator, Refrigeration simulator, Marine Centrifugal Pump's simulator. Texas A&M University at Galveston: Texas Maritime Academy - A highly specialized institution involved with both graduate and undergraduate education and research in all aspects of oceanic science. Tianjin University of Technology (China) - Founded in 1981, it now has 16,000 students and offers 45 undergraduate programs and 39 graduate programs in mechanical and electronic engineering, computer science and technology, photo electronic information and communication engineering, automation, energy and dynamic engineering, material science and engineering, biotechnology and chemical engineering, environmental and safety engineering, transport and logistics, mathematics and physics, applied economics, art, sociology, foreign languages. Tokyo University of Marine Science and Technology (Japan) - Built upon its 120 years of rich tradition and experience in education, while adjusting to the ever-changing needs of the maritime industry. Training Resources, Ltd. (TRL) - TRL has established a reputation in the maritime industry as a leader in providing maritime safety training and professional consulting services to various commercial enterprises and the Military Sealift Command, the largest operator of civilian manned logistic support vessels for the U.S. Navy. U.S. Coast Guard Academy - Fields of study include Civil Engineering, Mechanical Engineering, Naval Architecture and Marine Engineering, Naval Architecture, Marine Engineering and Ocean Engineering, and Marine Science. U.S. Merchant Marine Academy - Teaches how to succeed in the maritime and transportation industries or armed forces while preparing you to receive a bachelor of science degree, a merchant marine license, and an appointment as a commissioned officer on reserve or active duty in the U.S. armed forces. U.S. Naval Academy - Prepares men and women to become professional officers in the U.S. Navy and Marine Corps. U.S. Naval Submarine School - Trains officers and enlisted sailors in the skills needed in operational submarine commands in the Atlantic and Pacific. University of Applied Sciences Oldenburg/Ostfriesland/Wilmshaven, Department of Maritime Studies (Germany) - The Maritime Department in Elsfleth was founded in 1832 as a Maritime Acadamy (Gro§herzogliche Navigationsschule) and became part of the Oldenburg University of Applied Sciences in 1971. University of Plymouth, Marine Institute - Offers world-class teaching and research in a wide spectrum of marine subjects and works closely with its partner institutions, Plymouth Marine Laboratory, the Marine Biological Association, the National Marine Aquarium, the Diving Diseases Research Centre and the Sir Alister Hardy Foundation for Ocean Science. University of Rijeka, Faculty of Maritime Studies (Croatia) - Faculty of Maritime Studies, University of Rijeka, founded in 1949, is a maritime education and training institution specialized in marine-oriented programmes at the undergraduate and graduate levels, with particular emphasis on: 1) preparing officers for the seagoing career in nautical and marine engineering studies; 2) logistics and management in shipping and transportation; 3) transport technology; 4) maritime communications and marine electronics. University of Transport in Ho Chi Minh City (Vietnam) - Managed by Ministry of Transport and founded in 2001. Training includes transport industries such as motorway, navigation, railway, inland waterway and civil aviation. About 400 navigation students have graduated and employed in domestic and foreign sea-going vessels every year. The Maritime Training Center offers about 90 training courses, particularly training courses in term of updating knowledge to take exam at navigation management officer and issues over 2,400 Maritime safety certificates for seafarers residing in the South. Videotel - Videotel began making training products for the marine industry in 1973. Major shipping companies needed to improve their onboard training and the IMCO wished to see high quality training materials supplied to maritime colleges, particularly in developing countries. Videotel provides specialist programmes for oil, gas and chemical tankers, container, refrigerated cargo, passenger and RO-RO ships, offshore operations, pilots, surveyors, port and terminal operators and more. Vietnam Maritime University (Vietnam) - Founded in 1956, a leading university of Vietnam in the maritime section. With total number of nearly 16,000 students who study 19 (nineteen) fields of education and constant-annual enrolment of 2,400 to 3,000 students, VIMARU nowadays has been being assigned for educating higher education level graduates of nautical science, marine engineering, electrical and electronic engineering, shipbuilding, sea-transport economics, waterway engineering and all the other fields relating to national maritime sector. The University also educates post-graduates of Master of Science (Msc.) and Doctor of Philosophy (PhD.) in the fields of Nautical Science, Marine Engineering, Energetic Engineering, Naval Architecture, Waterway Engineering, Sea-transport Economics, etc. Warsash Maritime Centre - Training, consultancy and research to the international shipping and offshore oil industries. Webb Institute of Naval Architecture, Glen Cove, New York - Naval architecture and marine engineering. WHOI.education - Those pursuing a Ph.D. or Sc.D. at the WHOI may concentrate in chemical oceanography, marine geology, marine geophysics, physical oceanography, biological oceanography, and/or oceanographic engineering. Wismar University of Technology, Business and Design (Germany) - Offers educational degree programmes in Nautical Science, Transport Operations and in Ship Operations Engineering, Plant Operations and Supply Engineering. One segment of each programme is designed to qualify students to achieve the highest Certification of Competency according to STCW for the Master Certificate and/or Chief Engineer Certificate, and the second segment teaches the skills required for working in shore-based facilities. In parallel the department is providing further education and refresher courses for ships' officers (e.g. Bridge and Engine team training for regular operation and Emergency Management, special courses e.g. for Ro-Ro ship operation and high-speed craft) pilots and VTS personnel (mandatory training of all German VTS operators). World Maritime University (Sweden) - WMU was established by the International Maritime Organization, a United Nations specialised agency. Its mission is to serve the global maritime community as a centre of excellence and IMO's apex institution for high-level maritime education and training. Youth Maritime Training Association - A non-profit organization serving the youth of Washington State.